From the early 1990s to the mid-2000s, Chicago hip-hop was pioneered by a few dedicated artists. As the decade progressed and the sound evolved, however, the city’s music reached unforeseen heights of popularity. With the release of “Graduation” in 2007, Kanye West’s “chipmunk soul” style solidified itself as both the dominant sound of Chicago and the most popular music of the time. The album was a victory lap for West, one designed to celebrate his massive popularity and sell out arenas with its grandiose and cinematic sound. Notably, “Graduation” was released the same day as 50 Cent’s “Curtis.” Commercially, 50 Cent was one of the biggest artists of the early 2000’s, rivaled only by Eminem. Having been shot nine times, he embodied gangster rap, the dominant sound of the era. In 2003, he held two of the top five debut weeks, with “The Massacre” having the third highest hip hop debut ever at 1.14 million sales. The year 2007, however, signaled a change in the music climate, with West debuting higher (957,000 sales) in the same week. Gangster rap was on the downturn, with West’s pop–hip-hop fusion on a meteoric rise. The approachability of this sound combined with West’s prolificity permeated America and changed hip-hop forever. Chicago was especially affected by the shift, with the city embracing the identity that West embodied: confident swagger mediated by introspection and recognition of one’s own faults. “Graduation” represented West’s (and Chicago’s) commercial peak, selling nearly 2.7 million copies in a month and a half. Following his infamous interruption of Taylor Swift at the 2009 Grammy Awards, the public turned against him, demonizing him and forcing him to briefly retreat from mainstream attention. The event, which saw him denouncing Swift’s music video award, changed his mainstream persona from a talented yet flawed artist to an egotistical narcissist. Though he would later return with one of the decade’s most critically acclaimed albums, “My Beautiful Dark Twisted Fantasy,” the mainstream sound had already moved on to Drake and Lil Wayne, who would dominate the coming years. Chicago itself continued to focus on its unique sound, concentrating on heavy use of samples mixed with jazz. With regard to content, the city stayed tied to its earlier conscious rap, even as mainstream hip-hop moved into the era of bling-focused rap near the end of the decade. As the 2010s dawned, a new generation that grew up listening to West and Fiasco began to make its own waves in the Chicago scene. Among this crowd was the group Savemoney, founded by Vic Mensa. The members of this group, which included Chance the Rapper, Towkio, and Joey Purp, would go on to become some of the foremost names in the modern Chicago scene. Chance in particular became one of the most recognizable artists of the time. His first mixtape, “10 Day,” was released in 2012 after he was suspended during his senior year of high school for the titular ten days. The album was the next step on the path created by West and Fiasco, focusing on Chance’s unique voice layered onto a backdrop of uplifting samples. Coincidentally, “The College Dropout” was the first hip-hop album Chance ever heard, and its influence can be heard in the heavy sampling present throughout his mixtape. “10 Day” also closely follows the theme of family, a subject that had become common among Chicago artists. For many of these artists, the violence in the city meant that their families were incomplete, creating an unfillable void in their life. This loss spurred an artistic response, with hip-hop artists using their music as a way to vent their emotions and express the grief they felt. When Chance released his next mixtape, “Acid Rap,” in 2013, it instantly became one of the year’s most electrifying releases. It is sonically much darker, and a majority of its tracks are downbeat and depressing. It sounds drugged-out, with the samples slowed down and twisted, reflecting Chance’s drug addiction. The album largely focuses on loss, with Chance discussing how his “big homie died young/ [I] just turned older than him.” The starkness of the emotion coupled with the intricate instrumentals resonated deeply with listeners, generating extensive amounts of critical acclaim. The album is a laundry list of important figures in the Chicago scene, including legends such as Twista, as well as other up-and-comers such as Noname and Saba. The city’s insularity can easily be seen in this rising group, with each of the artists featuring on each other’s releases. Over the following years, the informal crowd would grow to include such names as Ravyn Lenae, theMIND, Mick Jenkins, Raury, Smino, and various members of the Savemoney crew, among others. Noname’s release of “Telefone” in 2016 was another landmark for the Chicago hip-hop scene. Noname, who grew to fame as a spoken-word poet, reinforced the artistry and lyricism of the Chicago scene that Common and Fiasco established. “Telefone” echoes the nostalgia of “Acid Rap,” longing for a time in which young artists were not forced to recognize the ugliness of the world. The influence of the older artists continued to appear in the younger generation. Saba released his debut album in 2016, titled “Bucket List Project.” The album’s skits document what Saba’s friends and associates hope to accomplish before they die, ranging from the mundane (Will Fountain’s desire to eat at In-N-Out Burger and Chance’s desire to learn the drums) to the unlikely (Fiasco’s wish to win a Nobel Prize and Jean Deaux’s wish to smoke a blunt with Beyoncé). These skits continue the yearning found in “Acid Rap” and “Telefone” for a better, simpler time. The tracks themselves reflect on the city of Chicago, noting how nobody wants to talk about the violence and problems the city and its inhabitants face on a daily basis. Saba also discusses how gentrification is a rising problem for the city. Without its unique culture, he asks, how will Chicago be able to define itself and take pride in its qualities? This question is central to Chicago music; much of the city’s exceptional qualities arise from the identity it has formed over the years. Once this identity is removed, artists are unsure of what will be left behind. 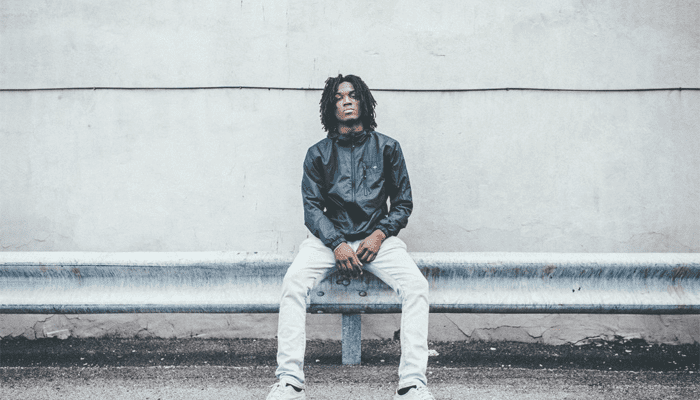 In 2018, Saba released his second album, “Care for Me.” This album is much more personal than the first and is extremely topically reminiscent of “Acid Rap.” In this album, the instrumentals are much more sparse, with a focus on the lyrics and Saba’s impeccable flow. It centers around Saba’s loss of his cousin and details the variety of personal issues he struggles with daily. “Care for Me” moves past the wistfulness of the earlier releases, recognizing that the issues are here to stay and that his only option is to learn how to deal with them. As Chicago’s musical identity continues to define itself and evolve, its artists will continue to imprint their own hopes and struggles on the sound. This outlet allows Chicago artists to express themselves within a unique sound and serves as an emotional record of the tumultuous history of the city.